If you’re looking for more car for less money, you’ve come to the right place! Buying a used car is a great way to immediately save on the costs involved, but there are a few more things that you can do to save money and ensure that you’re investing in a car that is truly of a good quality. Getting more car for your money is the dream and with the right used car dealership on your side, that dream can be realized for you. 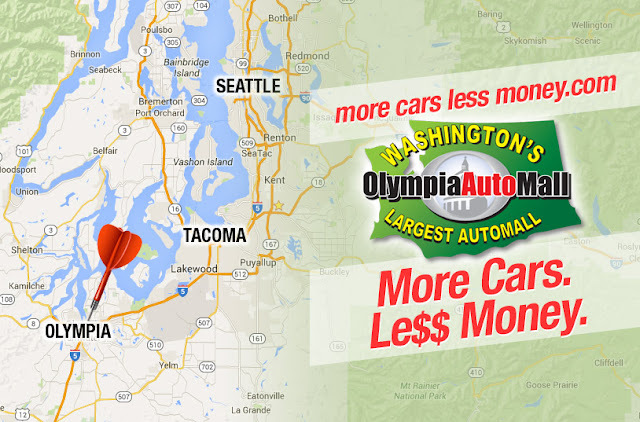 Avoid high taxes on your purchase by looking for cars for sale in Olympia. Taxes in Olympia tend to be lower than in Seattle, Tacoma and other areas. Shop at both new and used car dealerships that have a reputation for providing a good service and having a wide selection of cars to choose from. This means that you’ll get more for your money. Ensure that the used vehicle you are purchasing hasn’t missed a service and that it’s been well looked after. Your cars sales agent should be able to show you a detailed service history on the vehicle. Used cars can be great investments if they have been well-maintained according to the owner’s manual. Test drive the car thoroughly. Take it for a drive that’s longer than just down the road or around the block. Look for a car that drives smoothly and doesn’t present any weird or concerning noises, smoke, ratting, shuddering or similar. The gears should change easily and the brakes should be responsive. Don’t forget that a used car can really save you in the long run too. A lower purchase price doesn’t only mean lower monthly repayments on your vehicle finance. It also means lower insurance premiums too. If you’re looking for quality new and used cars and want to save money without compromising on the quality of the car that you end up with, shop the Olympia Auto Mall. We recommend that you spend some time with us browsing through our selection and test driving the cars that best suit your needs and budget. We’re always available to help you find cars the right car at the right price!